In my opinion, there is nothing like a little yoga after a run. 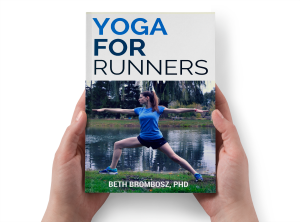 (As a yoga teacher and a running coach, I’m a little biased, of course.) There’s something so satisfying about releasing tight muscles after a hard workout. Through trial and error, I found a quick little sequence that I’ll follow after my runs when I’m crunched for time but I still want to make sure I get in some stretching. 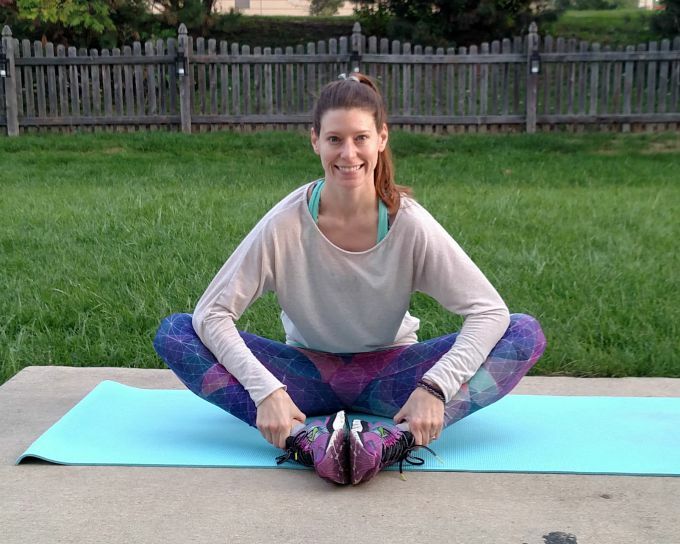 This quick yoga sequence for runners will help you stretch and loosen up after your runs. Disclaimer: I am a yoga teacher, but I’m not your yoga teacher. Always practice yoga mindfully and if a pose hurts or doesn’t feel right, don’t do it. I don’t know about you, but my calves get really tight when I run. After all, the calf muscles are one of the powerhouse muscles we use when running. So, one of the first stretches I like to do is a calf stretch, and down dog is great for this. It also helps to stretch the tiny muscles and tendons and ligaments in the ankles, which can get really tight and angry when I run, too. Rag Doll is wonderful for stretching and opening the hamstrings, the muscles at the back of your thighs. I really like Rag Doll because it’s easily modified for runners with tighter hamstrings: if you’re tight, just bend your knees more. You should find the point where you have a comfortable stretch through the hamstrings, but you don’t feel like you’re straining to get into the pose. This is also just a great pose to chill out in after a tough run. I always make sure to do a low lunge after my runs to stretch my hip flexors, especially after my big hip flexor injury back in 2012. Pressing your hips forward in a low lunge should give you an awesome stretch through the hip flexor of your back leg. 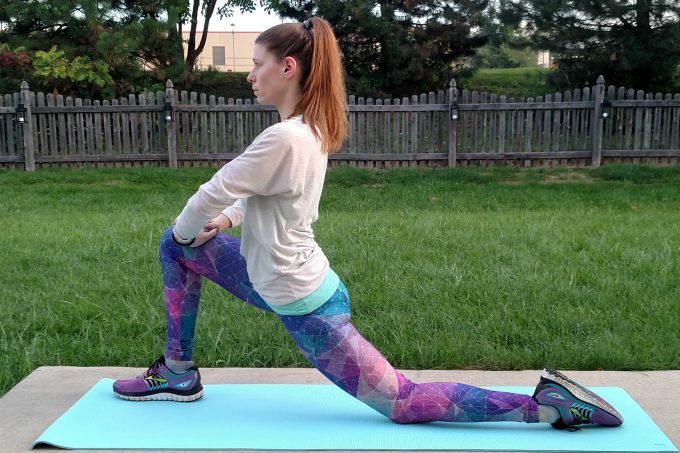 When in a low lunge, make sure you’re not putting too much stress on your knees. You can keep a blanket or a folded shirt under your bottom knee for padding, and if you start to feel weird sensations in your front knee, make sure your knee is stacked over your front ankle. From low lunge, you can bring your back foot in for a stretch through the quadriceps. If you’re more flexible, you may be able to grab your back foot and pull it in with your hand. If it hurts to add in the extra stretch, don’t do it! You can also do this stretch against a wall, letting the top of your back foot sit against the wall, so the wall is helping you hold the back leg in for a stretch. 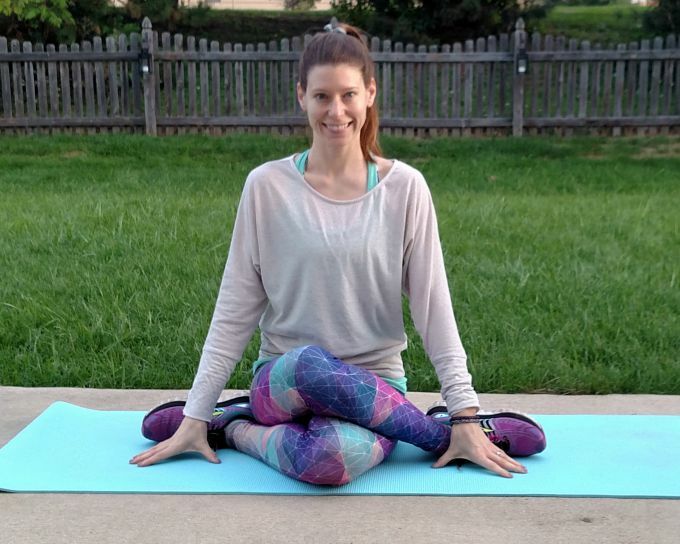 Pigeon pose is one of those poses that runners love for opening the outer hips. 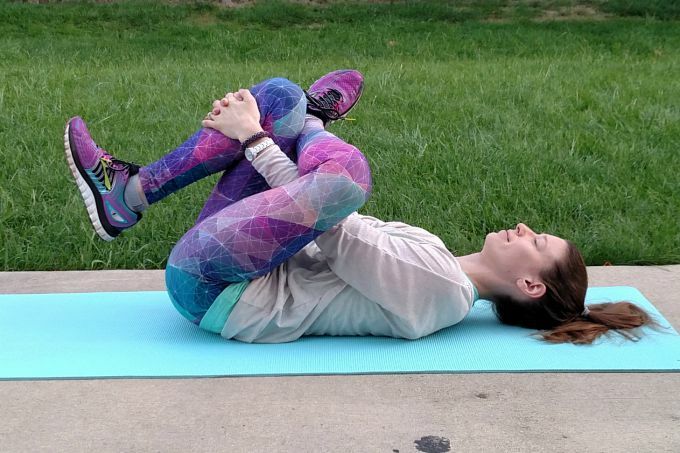 I used to teach full pigeon to runners, but after seeing so many runners struggle to get into full pigeon when they should be modifying, I like to recommend reclining pigeon for most runners who don’t practice a lot of yoga. You’ll get a better stretch if you’re not straining to get into a pose and you can just relax in. This is another pose that I love doing against a wall: if you bring your back foot to the wall, the wall does the work of pulling your legs in closer to your chest so you can relax and breathe. I love doing this Cow Face Pose modification to stretch my deep hip and seat muscles. As you get more open through the hips, you’ll be able to come closer to stacking your knees on top of each other. If you’re not quite there yet, it’s okay to have a little bit of distance between the knees. As long as you’re feeling the stretch in your hips, you’re doing it right. You can also play around with changing where your feet are at to change the intensity of the pose, keeping your feet in line with your knees or bringing them closer to your seat. My inner thighs are crazy tight, so I like to make sure I stretch them after my runs. I like butterfly pose (AKA bound angle pose) because it’s an easy one to modify to what your body needs, keeping the feet close to the body or a little further out, and you can either stay seated or melt to intensify, leading with your chest. Turn this one into a restorative pose by stacking blankets or pillows under your chest or your forehead. 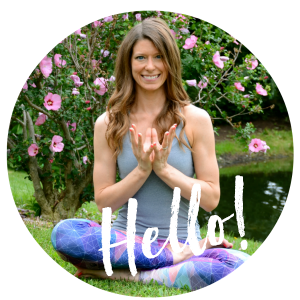 I’m going to keep adding more yoga and yoga for runners videos, so if you’re interested, subscribe to my YouTube channel! Love my leggings? They’re made by Inner Fire Apparel! I’m an Inner Fire Luminary, which means you get 15% off your purchase by using coupon code bethb! 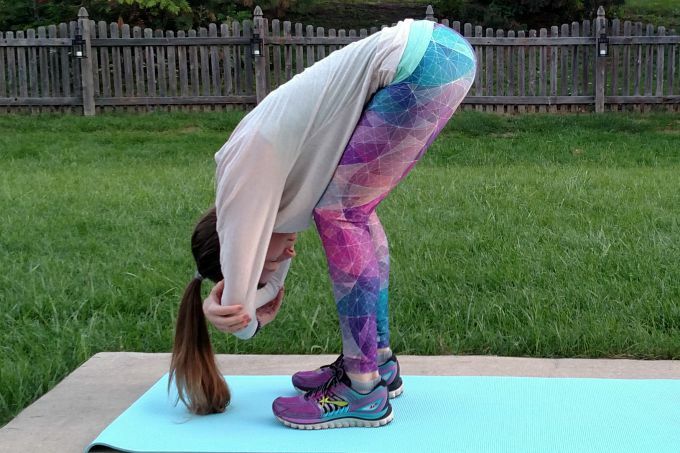 What are your favorite yoga poses to practice after running? Do you like to stretch after your runs? This is almost exactly what I do for my post run stretch/yoga cool down. 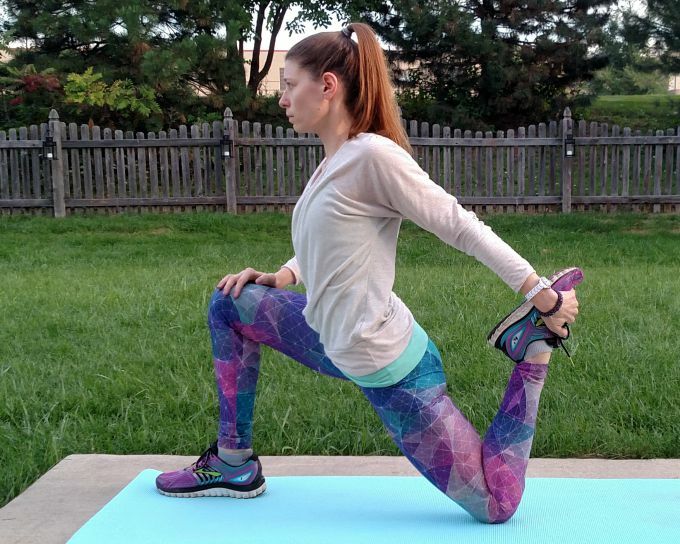 I do a couple extra hip openers and spend a little more time stretching out my IT band, but this is a perfect sequence for most runners. Cow facing pose is one of my faves–I often do it while lying forward and working on the computer! I love it, too. Really gets into the hips and the glutes. Feels so good! Love how short and effective this is! 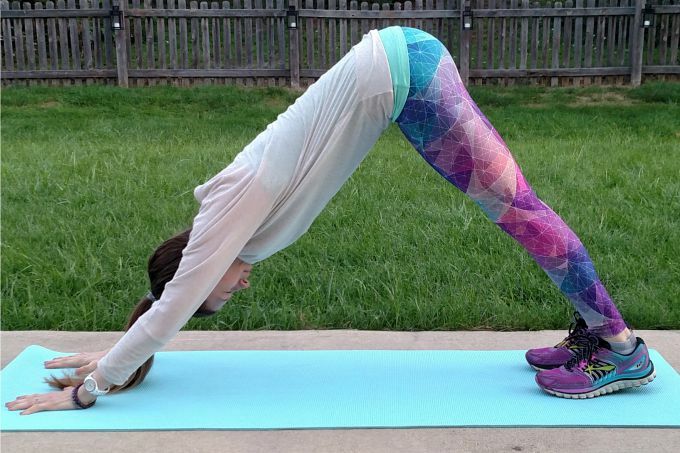 Downward dog is my favorite after a run – it really stretches out my calves, which tend to be a tight spot for me. Yay, glad you enjoyed the sequence, Laura! My calves get really tight, too. They definitely need love after a long or hard run! Great post! I love pigeon and do child’s pose a lot to loosen up. Just started really doing some yoga everyday as of this week due to my back. It’s helping. Thank you so much, Shannon! Glad yoga’s helping you with your back! It’s amazing how practicing yoga every day really does change how you feel. I don’t think I”ve ever cracked a smile when I’ve done cow face pose!!! LOL, yeah, it’s a tough one! So intense, but feels so good when you’re done! Thanks for the tips! 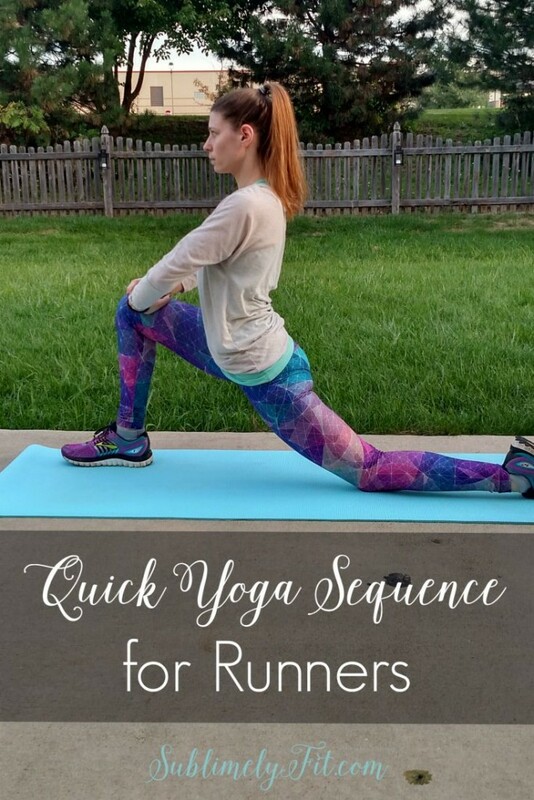 I’m always looking for new poses to do after a run and these sound awesome! Ha the only reason I do any kind of stretching is bc I do it alongside my clients and we also have a cool down at the studio where I teach. If it weren’t for that, I would never stretch bc I can’t make myself!